This is a month dedicated to fleeting things, produce here and gone before you’ve had a chance to tire of it. 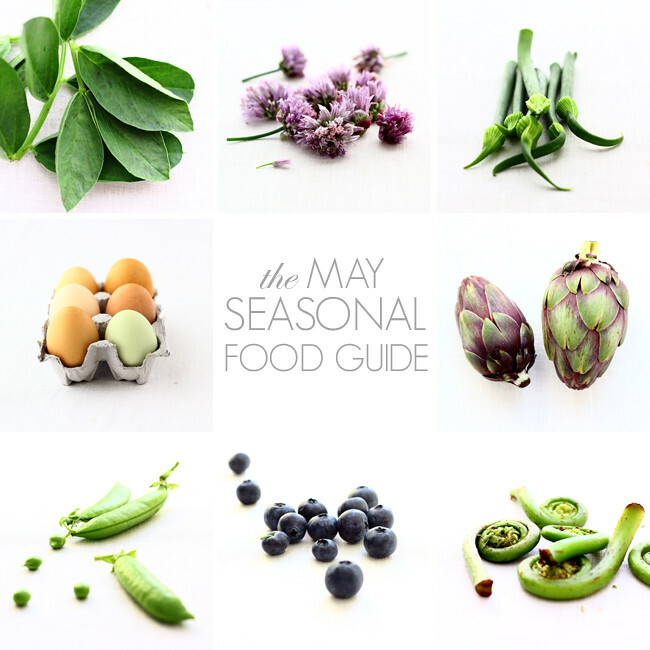 (Or even taste it – fiddleheads, ramps and scapes have the briefest of seasons, sometimes lasting only a few weeks.) It’s also a turning point: where in the winter we are challenged to find something new to do with the same cast of cruciferous vegetables and starchy sweet tubers, now there is the luxury of choice and an exciting parade of refreshing options as we come into the most prolific months of production in the vegetable kingdom. 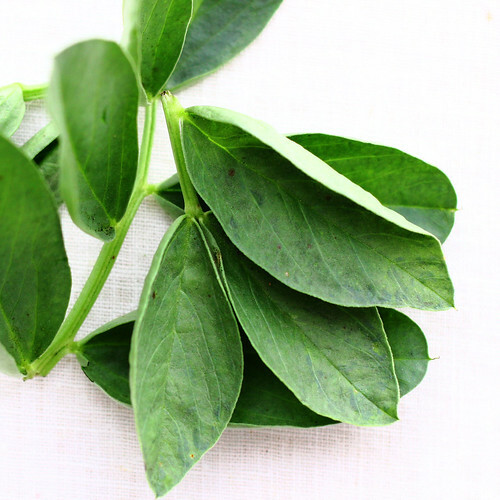 FAVA GREENS are young, tender shoots produced by the plant that gives us fava beans. Like pea shoots, they retain the flavor of the legume but have an added green note and textural contrast that makes it an exciting and novel addition to salads and sautees. While fava greens may not be commonly available outside of farmers’ markets or specialty shops, it is such a common cover crop that if you happen to live close to a farm, or keep your own vegetable garden, you could find yourself with a huge supply of fava greens when spring rolls around. CHIVE BLOSSOMS are exactly what they sound like: the young, flowering top of a chive plant. In addition to their striking lavender color, they possess a surprisingly strong onion flavor. They’re sneaky, though: your first bite will be sweet and mild and then a strong dose of onion will follow. They’re a great addition to pastas, egg dishes and fish. You can also make a chive blossom vinegar for salads. 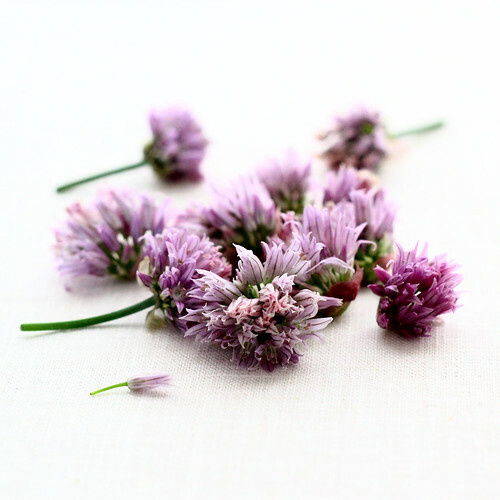 Chive blossoms can be found in farmers’ markets, some Asian groceries, and your own garden if you’re growing chives. ONION SCAPES are the young, unopened flowering stalks of an onion plant. They are sweet, juicy, tender and green, mildly onion-flavored and vaguely reminiscent of asparagus. They are remarkably good by themselves, sauteed in a little olive oil with salt and pepper, but also do well where you’d like the flavor of onion toned down a notch. ARTICHOKES are the immature flowering top of an edible thistle. Cultivated for centuries in Italy and the Mediterranean, they were brought to California around the turn of the twentieth century by Italian immigrants. The leaves and choke of a young artichoke can be eaten, while the more mature plant requires long, slow braises and only the bottom end of the leaf and inner heart are edible. Their flavor is enhanced by garlic, lemon, thyme or mint. FIDDLEHEAD FERNS are the young, tightly furled new shoots of fern plants. Often compared to asparagus in flavor, they are decidedly green in taste with a subtle, nutty quality. Fiddleheads can be prepared simply in brown butter or added to pasta dishes for a bright spring note. They always need to be cooked before being consumed. BLUEBERRIES are one of the most widely distributed plants across the globe. They can even be found as far north as the Arctic – an important source of energy for wildlife in the lean months of early winter. Intensely flavored with strong sweet and tart notes, blueberries are a pretty perfect fruit eaten out of hand. They’re well-loved in pies, crisps, tarts and jams, and even great in salads. SNAP PEAS have a delicate sweetness and crunch to them that make them almost like candy. In seventeenth century France, they were something of a phenomenon. 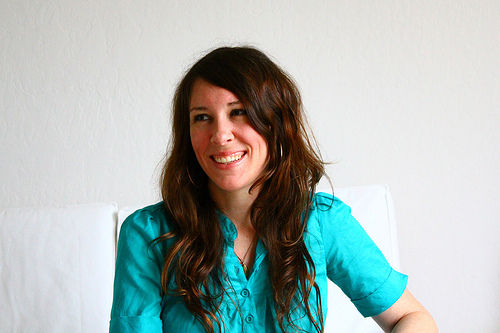 One of my favorite produce guides, The Greengrocer , by Joe Carcione, notes that one Mme. de Maintenon wrote, “The impatience to eat them, the pleasure of having eaten them, and the joy of eating them again are the three points of private gossip…. It is both a fashion and a madness.” Their enthusiasm was largely because peas were only known in their mature, dried state by way of porridge until that point. Bold words for such a demure little pod. PASTURED EGGS: It’s easy to forget that eggs are a seasonal food, given that they’re a staple in kitchens worldwide, and reliably available year-round. Left to their own devices, and without the boost of artificial light and heat regulation, hens’ production of eggs slows in the winter. When many of us imagine the life of a free-range chicken, nosing through open fields for delectable insect treats and young grasses, what we are really imagining is the kind of life led by a pastured hen. Studies have shown that the nutritional benefits of a pastured egg are dramatically higher than those raised on industrial lots; hens need the sunlight and diet of insects, grubs and plants that’s available to them out of doors. You can find pastured eggs at farmer’s markets or by checking out your local resources through Local Harvest or Eat Wild. kankana - I have said this many time and yet again… I love your style. I am excited to see all the creations !! 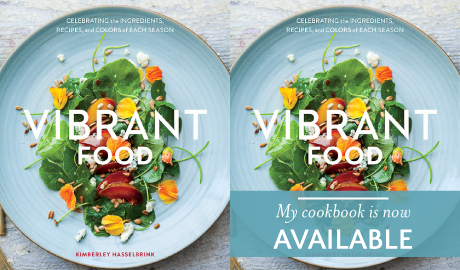 nancy - Hi Kimberley – Such a beautiful site you’ve created here and glad I found it today :) Loving your creative recipes and the seasonal food guides!